Raised total cholesterol is a major cause of disease burden in both the developed and developing world as a risk factor for heart disease and stroke. Globally, a third of ischaemic heart disease is attributable to high cholesterol (WHO). High levels of LDL cholesterol are particularly detrimental. It is also harmful to the health of the brain. 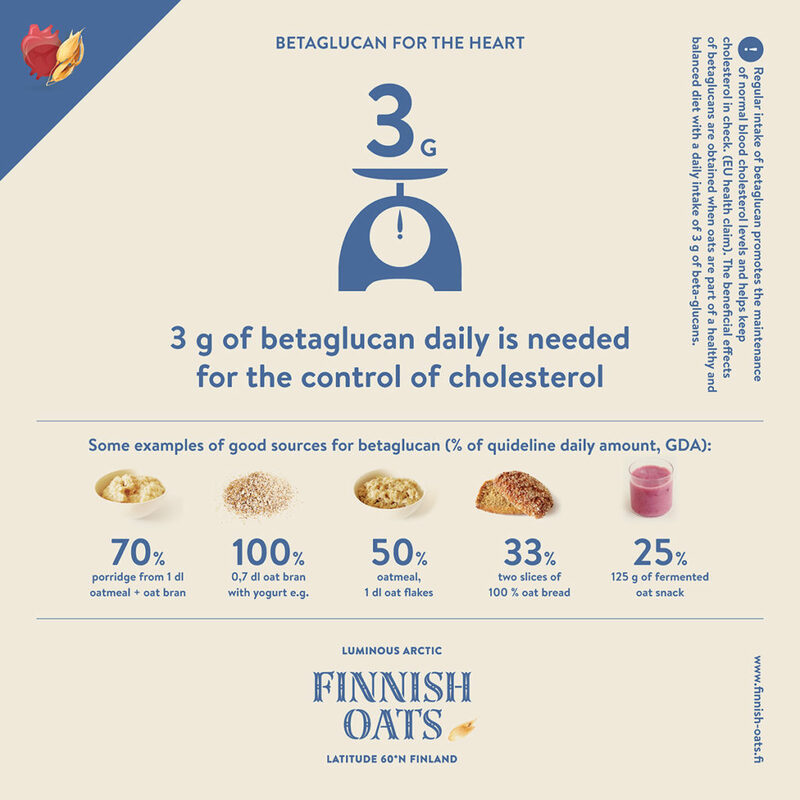 For health reasons, it is recommended that the total cholesterol level of the blood is less than 5 mmol / l.
The soluble dietary fibre contained in oats, beta-glucan, helps to keep cholesterol levels in the blood in check. It forms a gel in the intestine with water that prevents cholesterol from being absorbed into the body. The gel also binds bile acids containing cholesterol in the intestine. Thus, the amount of cholesterol absorbed into the digestive system decreases. 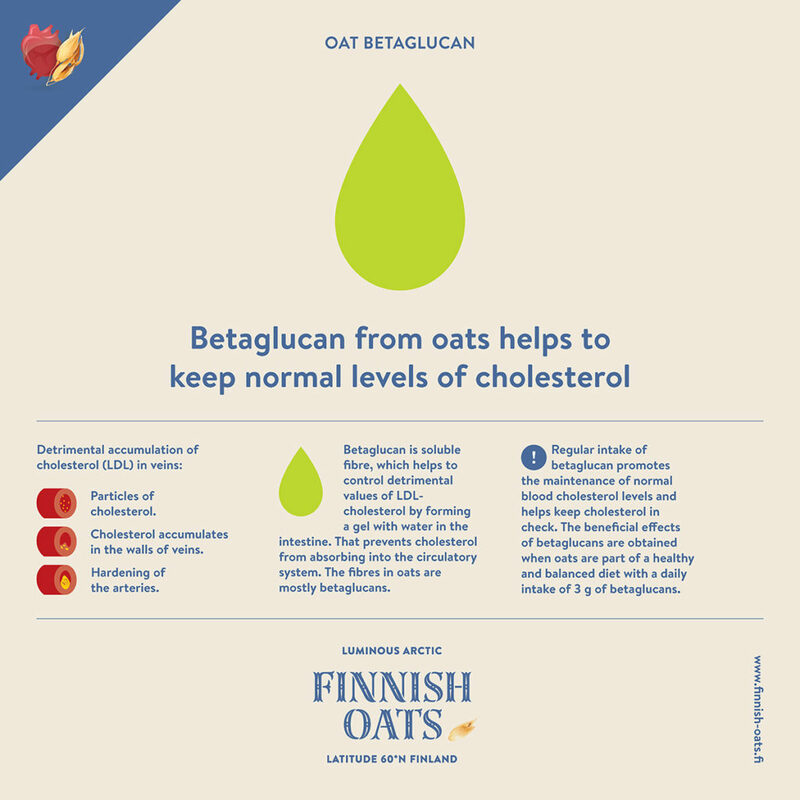 The EU has approved a health claim for oats that tells about the studied efficiency of beta-glucan in the control of cholesterol.